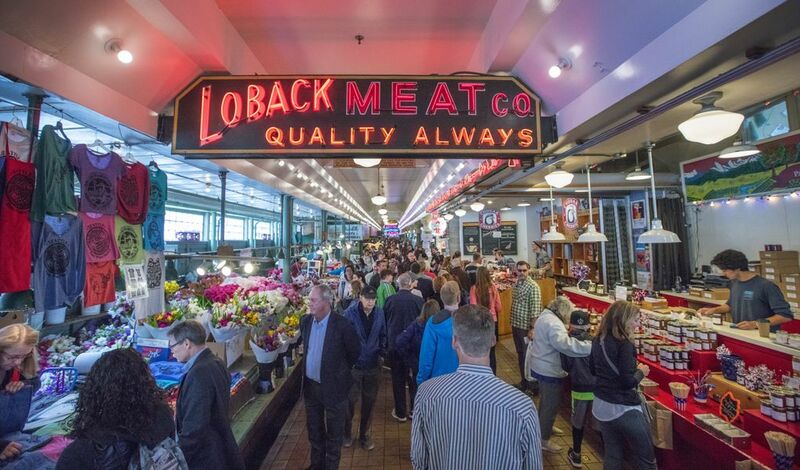 At 110 years old, the Pike Place Market has survived and thrived. It still pulls on the emotions of Seattleites of all stripes. Now, a new project is mingling with the old magic on the Market's northern side. It’s too full of tourists stopping aisles for a smartphone picture; it’s a hassle driving there and good luck with parking; you can get quality produce in neighborhood farmers markets. Does that about summarize your feelings toward our 110-year-old institution? And yet the Market just tugs at you. Maybe that’s because Seattle is so rapidly changing, rectangular buildings going up one after another, monuments to our digital economy surrounded by food trucks for a couple of hours each day. 2-7 p.m. Thursday, June 29, 1901 Western Ave.
A 2 p.m. ceremony will be followed by live music. “Passport” activities will guide visitors through the new spaces, with interactive stops at vendors, art installations and craft demonstrations. Tobey later joined another fight in the 1960s to save the Market from being mostly demolished in the name of “urban renewal.” That fight led to today’s historic district. 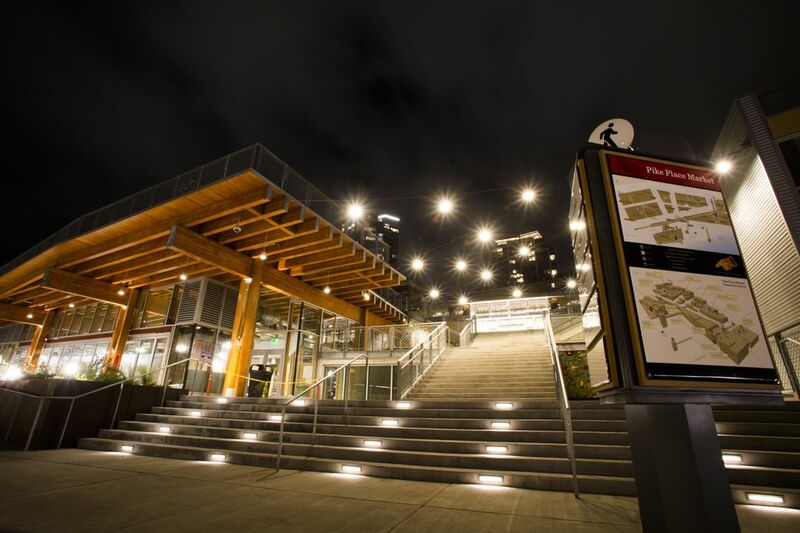 The Market on Thursday is having a grand opening of a $74 million project on its northern side, on what used to be a ¾-acre parking lot. As it always is with the Market, this new addition had to go through its vocal constituency, all of whom care deeply about it. There were more than 200 public hearings. 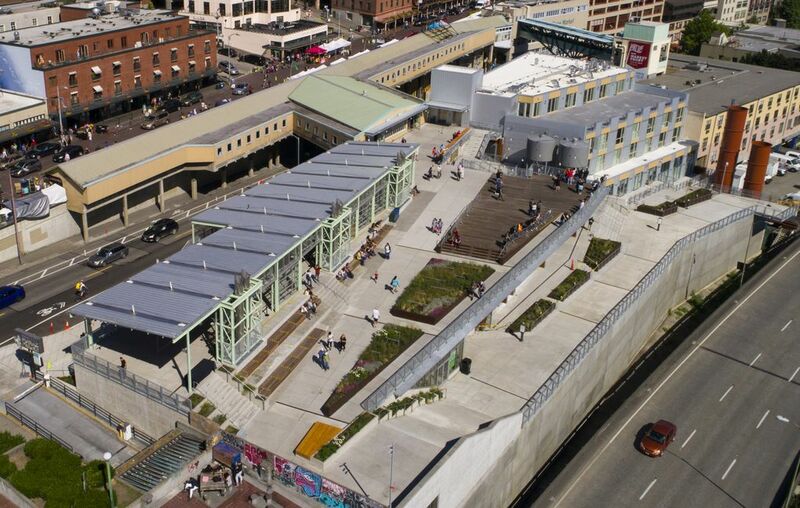 “It’s a very committed, passionate community,” is how Ben Franz-Knight, executive director of the Pike Place Market Preservation and Development Authority, explains it. 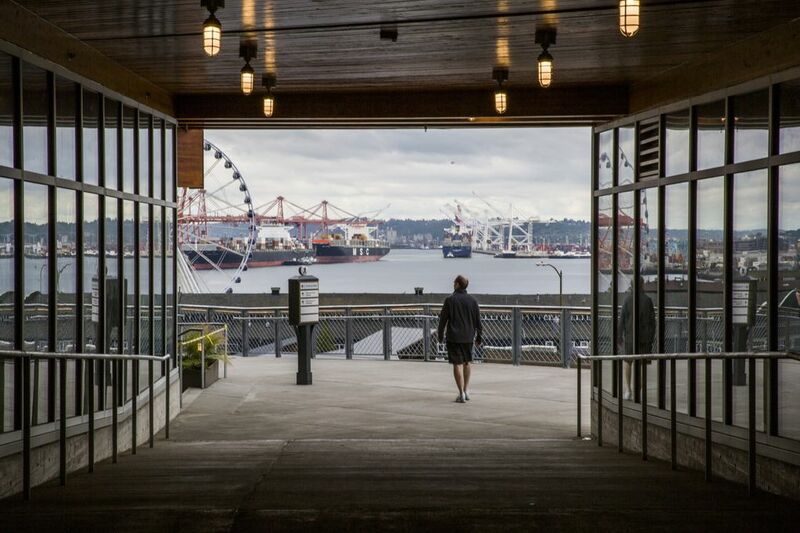 The “MarketFront” comes with straight-on, amazing views of Elliott Bay. It’ll have 47 rooftop day stalls for farmers and artists. It includes 300 new covered parking spaces priced at $4 an hour for the first four hours, reasonable enough to attract locals, the Market managers hope. 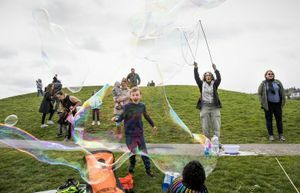 And it keeps with the Market’s mission of providing housing for people 55 and older with little money (incomes of $18,900 to $21,600 per year for a single person). There are 40 studios — most at around 400 square feet — that rent for $474 to $791. 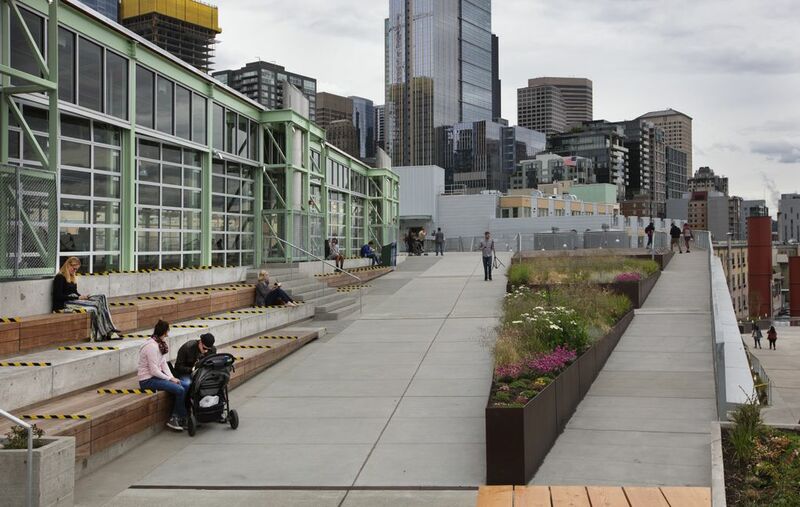 The only reason some of those characters you see populating Pike Place Market can live around there — a South Lake Union studio can rent for $1,800 — is because of this affordable housing. Seven of the new studios are specifically reserved for artists. One such person is Benjamin Bill, 60, who draws what he calls “mind art.” Bill explains that any way you turn his work — up, down, sideways — a different piece of art comes through. He’s not been shown in galleries, but so what? This has been his art for 20 years. “Envious, I’d say,” is how Bill describes visitors to his place who take in the water view. There is no denying the new addition looks, well, new. You can’t replicate the historic details from the early 1900s without making them look dishonest, says architect Dave Miller, lead designer on the project. Some of those old windows had steel frames. “You can’t do that anymore. It’s super-expensive,” he says. Miller, a 72-year-old local, perfectly well understands the emotions involved. Even those who these days seldom go to the Market still can’t escape its magic. “The problem is the crowds, especially the clueless crowds … People wander around the Market taking the sights, sounds and smells. That’s great and bless them for it — they’re probably from some godforsaken place like Texas or Ohio,” says Jeff Sconyers, a local since 1982. It is at the Market that you still find locals, from Magnolia, from Beacon Hill, the Rainier Valley, Bellevue, all intermingling. There is billionaire real-estate entrepreneur Martin Selig, 80, a 1955 Garfield High grad, who still stops there two to three times a week. He’s still doing deals out of his downtown office. One of Selig’s regular stops is Sosio’s Produce, going on five decades at the Market. “I bought some white peaches, red plums, and I bought a box of cherries — a big box, 25 pounds — that I brought to the office. They’re all gone,” says Selig. Another regular at Sosio’s is former Gov. Chris Gregoire, 70. 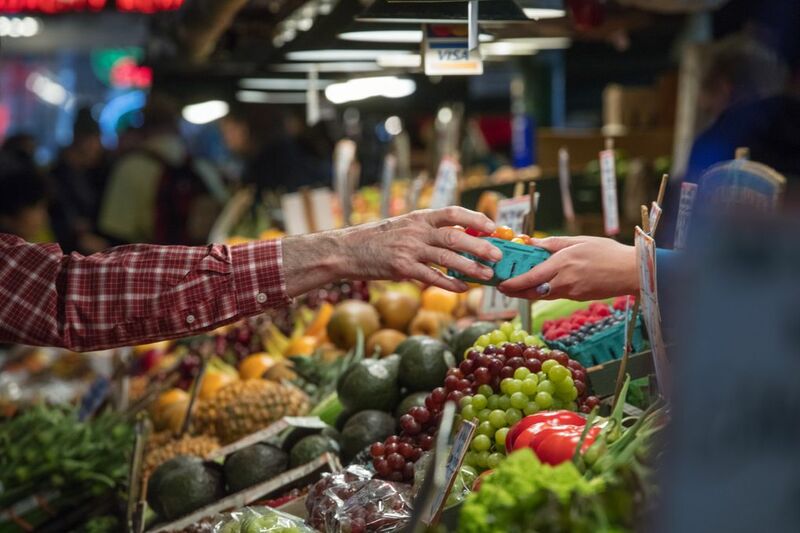 The fruit and produce stand was started in 1943 and is named after Sosio Manzo, an immigrant farmer. Tom Osborn, the general manager, tells of seeing Gregoire when she was governor lingering over the produce while aides tried to move her along to keep on schedule. 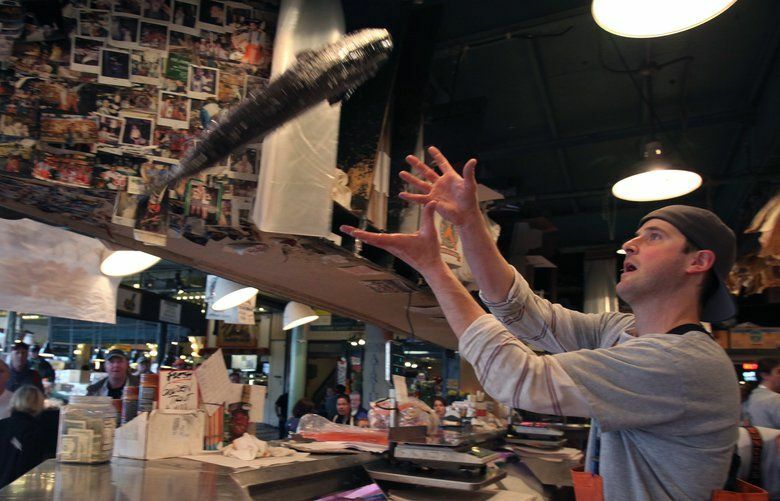 For Selig, from Sosio’s it’s a short distance to stop by “Solly’s operation.” The other day, Selig bought a 20-pound Copper River salmon there. That would be Pure Food Fish Market, and Solly Amon, 87, who still comes by the place a couple of times a week. He was 13 when he began working there. His dad, Jack Amon, a Turkish immigrant who was part of a small community of Sephardic Jews, began working in the fish markets in 1911. Brokaw usually stops at Solly’s when he visits Seattle. These days, it’s Solly’s granddaughter, Carlee Kulman, 27, who manages the fish market. 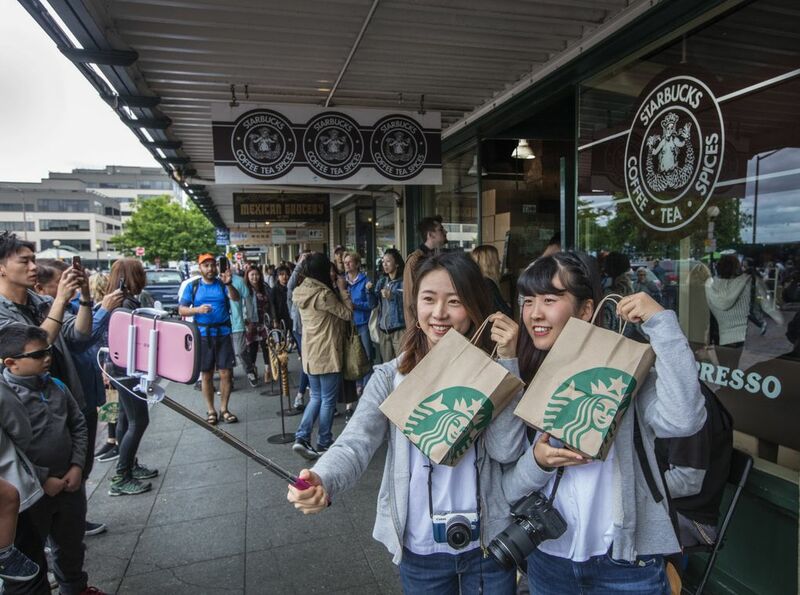 She was a 2013 University of Washington communications graduate who was interested in social media. Kulman has made some changes in the family business. For example, Pure Food customers now can have FedEx delivery within two to three hours. It’s a fine line, paying homage to tradition and adapting to a new economy in which a company like Amazon rules. Merideth Tall, 62, is founder and chair of the Victoria Clipper, best known for its daily Seattle departures to the British Columbia city after which it is named. Tall’s memories about the Market go back to taking the bus there every summer with her grandmother, Della Tall, to buy dill, spices and pickling cucumbers. She tells how when friends from South Africa emigrated here, “The first thing I did was to pack them up and take them to the Market to get their roots planted properly in their new homeland. 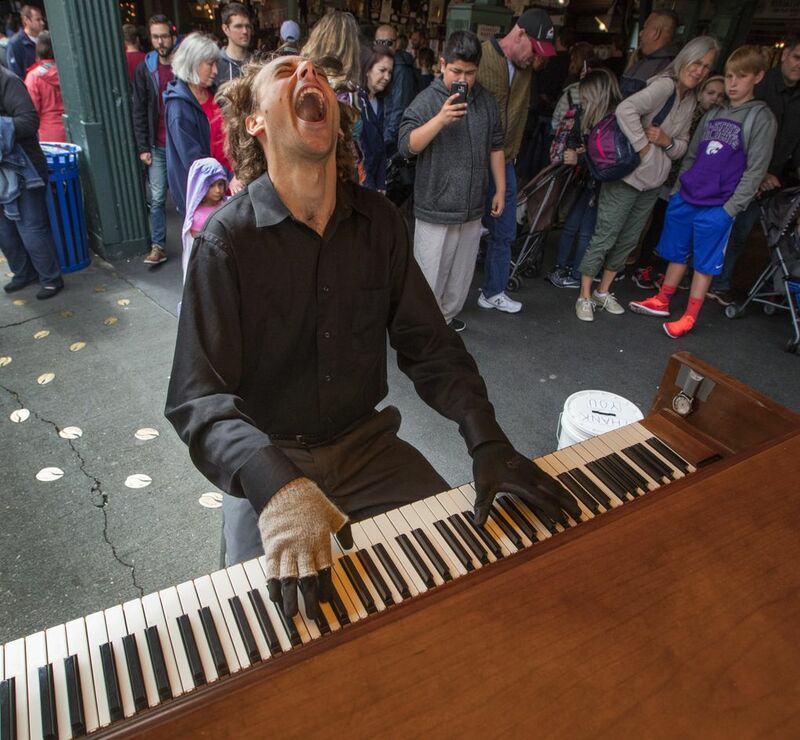 You bet the Pike Place Market brings those kinds of emotions among many Seattleites. They don’t mind at all.